During Tuesday's trading session, the Australian Dollar depreciated against the Greenback by 0.41% or 29 pips. Note, that the Aussie also depreciated against other major currencies. The reason for the decline is the release of Monetary Policy Meeting Minutes of the Reserve Bank of Australia on Tuesday at 1:30 GMT. 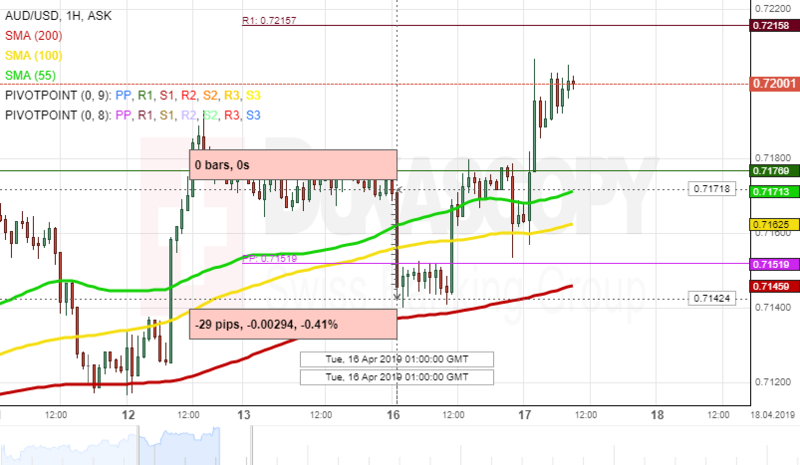 The Australian Dollar was pressured by the RBA's explanation why reducing extremely low interest rates would remain beneficial for the economy.